Paranoia doll is not like Barbie! 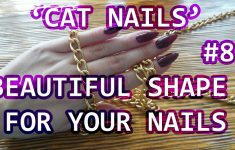 Beautiful manicure at home “CAT nails.” How to make a sharp nail form by yourself? Qualitative face skincare – simple and easy! How to get a healthy body and a beautiful figure? European clothes. Made in CHINA? 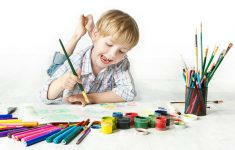 How to identify and develop the abilities of your child? What causes cellulitis? how to get rid of cellulite on back of legs? How does stretching influence on muscle growth? Stretching – is harmful or important? Beautiful manicure at home "CAT nails." How to make a sharp nail form by yourself? How does stretching influence on muscle growth? Stretching - is harmful or important? Female online magazine hejen.ru - your trusted guide in women's health issues, the secrets of beauty and attractiveness, perfect style and harmonious in family relations. While reading our magazine for women, you will learn a lot about magic, esoteric, fortune telling, how to attract money, as well as Feng Shui skills. The site hejen.ru opens to you all fashion trends of the year and news of show business stars. Build your woman's happiness with us!